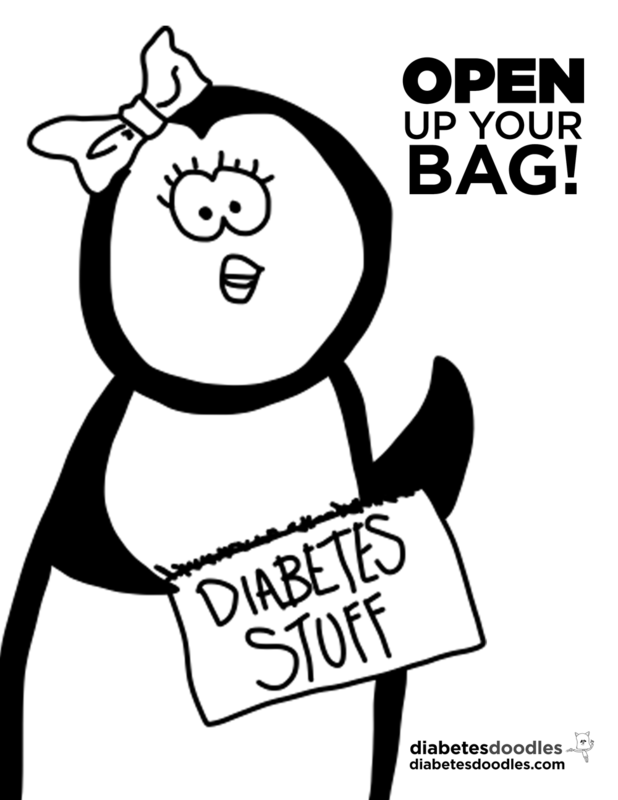 Penny The Penguin needs help finding her diabetes bag. 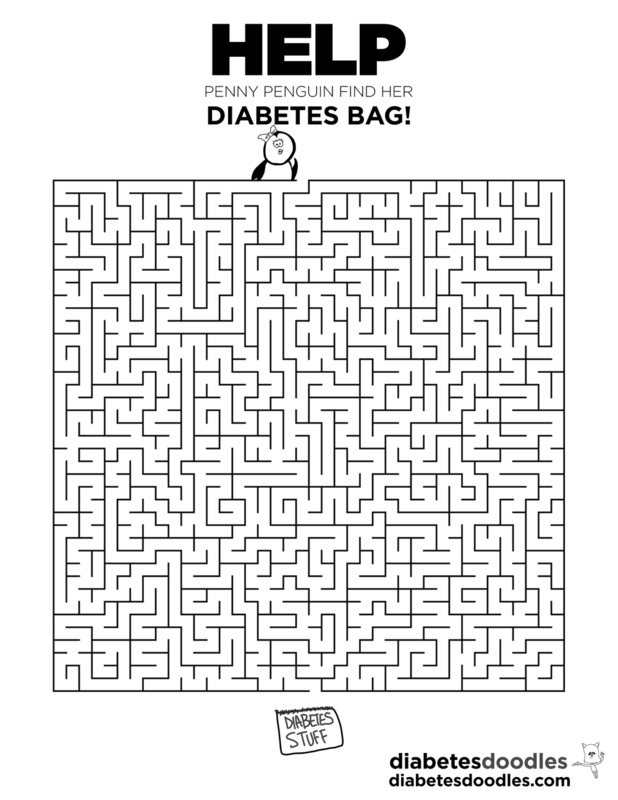 How long will it take you to do this really tough maze? Download the maze. What is your favorite LOW treat? Color in some of your favorite low treats, then draw more! 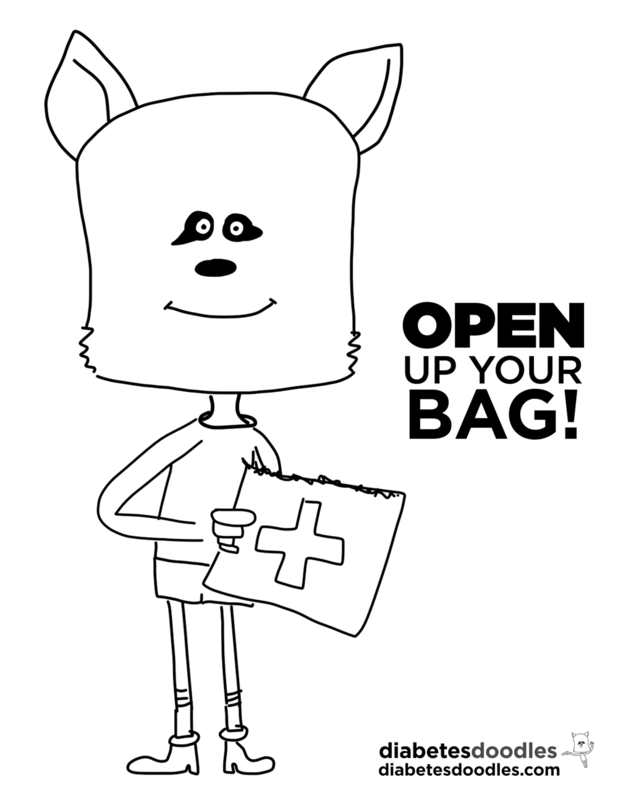 Download the coloring sheet. 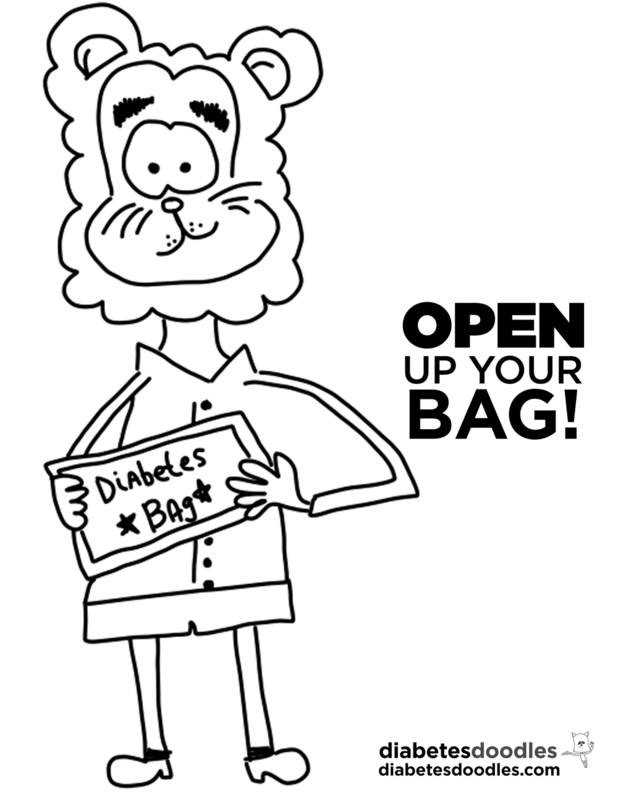 Draw your diabetes bag, then draw some of the items you put into it! Download the sheet.